When we purchased our farm we thought of all the animals we would love to have. 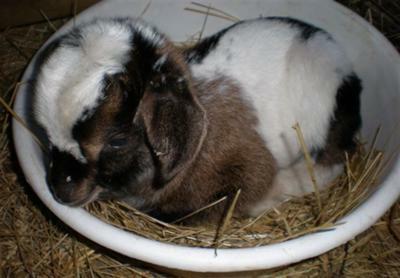 With space constraints the mini goats were perfect. We could stock twice as many as their larger cousins but they would do double the job with the blackberries and the gorse. We had natural fertiliser for the vegie patch, minimal soil eroision, low maintenance, friendly little animals. We also found out that they are great watch dogs/goats as they let us know if there are strangers around.